The battle to prevent anti ageing begins with the eye and Springs Beauty has a solution. Our beauty partners Decleor, one of the world's leaders in skin care, have produce a beautiful cream that combats time and keeps you looking young. The area around the eyes is a 10th of the thickness than that of the rest of the skin on our body and as such it needs to be treated differently. There are no oil glands around the eye but 300cm2 oil glands on the face. Face creams are too rich and can therefore cause puffiness. Did you know we blink around 15,000 times a day and each blink causes stress on the fragile skin around the eye and expression lines start to form. The eye is one of the first areas to show the signs of ageing. Ageing, lack of sleep, too many toxins and not enough water can slow down the circulation causing dried blood and lymph to form together and create dark circles under the eyes. 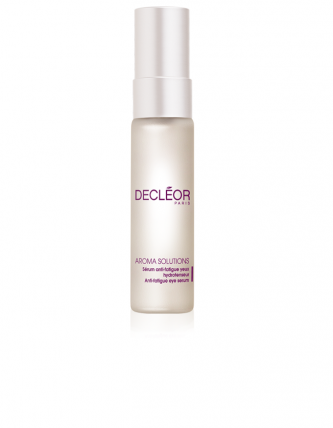 Springs Beauty work with Decleor eye creams to stimulate the circulation to prevent and reduce dark circles. The creams are used during treatments and are available for clients to purchase and continue ongoing daily treatments at home. To learn more book an appointment online or contact the salon for more details.